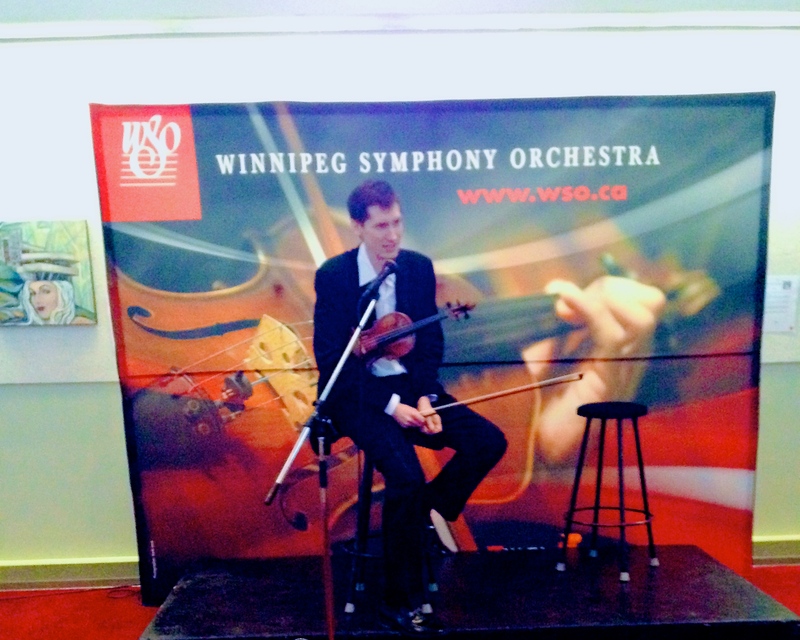 Today, the Winnipeg Symphony Orchestra held a CD release for the latest project of their associate concertmaster, Karl Stobbe. 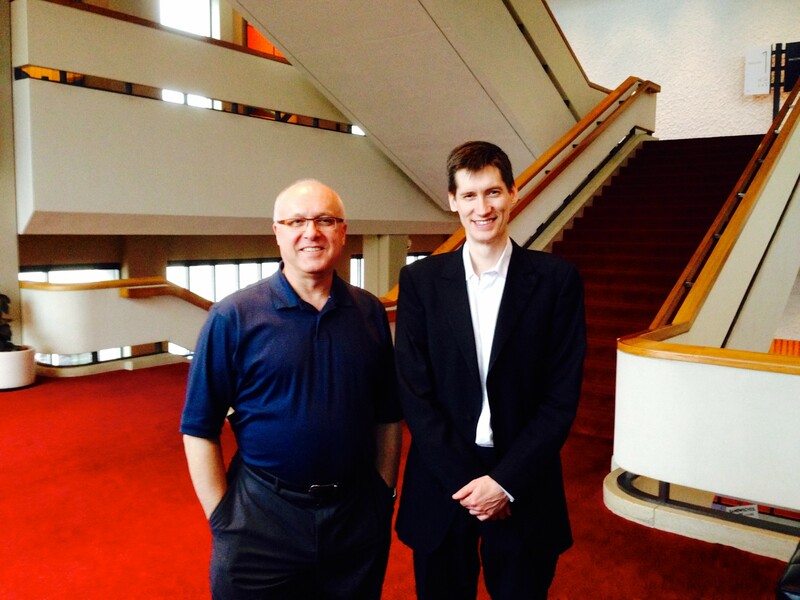 Karl’s album, Ysaÿe Sonatas for Solo Violin, won’t be officially released until May 12, 2014 on the Avie record label, but the launch at the Winnipeg’s Centennial Concert Hall offered a preview of Stobbe’s towering accomplishment. The warm and enthusiastic audience was treated to live performances of excerpts from the album and the advance copies were selling like hotcakes. Watch for the record in stores or go to the “Clients” section of this website and click on the “Ysaÿe Sonatas for Solo Violin” link to be directed to the Avie label website. 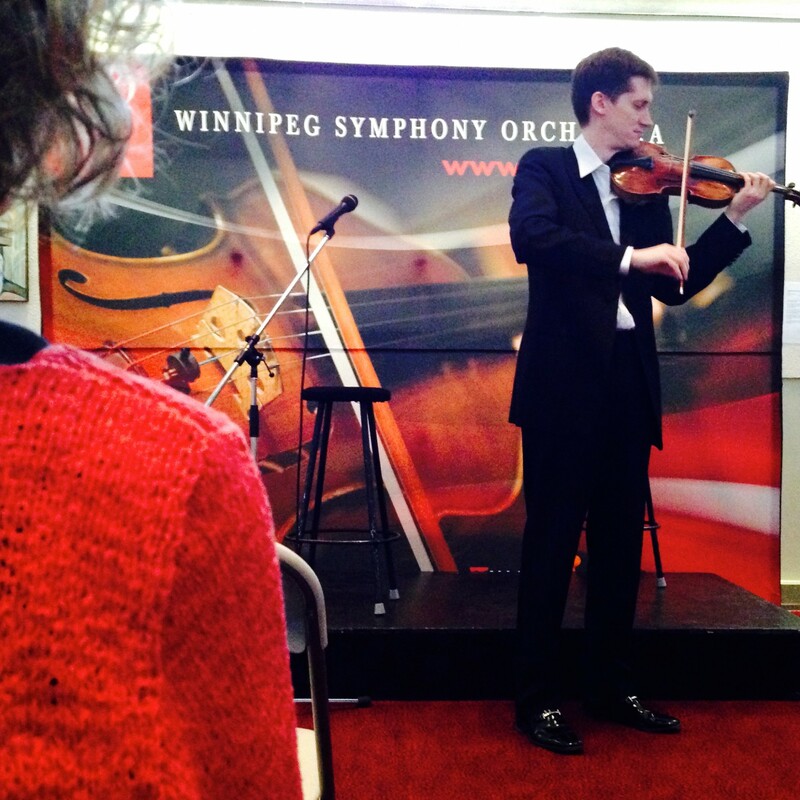 Karl describing the pieces for the audience.